Sydney Metro Northwest (formerly known as North West Rail Link) is the first stage of Sydney Metro and is Australia’s biggest public transport project. Sydney Metro Northwest will cost $8.3 billion and will deliver reliable, high capacity, public transport to Sydney’s North West for the first time. It is planned to be open to commuters by the end of 2019. In 2014, the New South Wales Government awarded Northwest Rapid Transit (NRT) consortium the operations contract to deliver the project. The project’s construction phase will involve thousands of construction workers. The tunnelling phase alone is expected to support around 900 jobs. 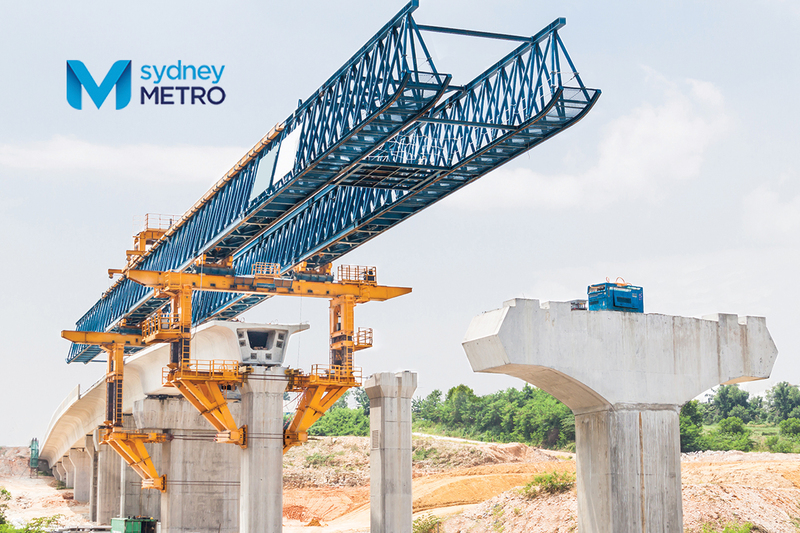 With so many workers involved, issues of safety on the 16 worksites of the North West Rail Link are paramount, and it’s for this reason, NRT designated the week starting 25 July 2016 as Sydney Metro Northwest Safety Week, which elevated work platform (EWP) supplier, Access Hire New South Wales, and Genie was delighted to support. To this end, Access Hire New South Wales had Peter McGrath, NSW Service Manager attend Safety Week, along with Major Projects Manager Clint Haggett, Sydney Sales Manager Gary Johnson, and NSW Sales Manager David Tripodi. Access Hire New South Wales also invited Mitch Ely, Genie National Operations Manager, Terex AWP, and Mal McIntosh, Genie Training and Technical Support Manager Asia Pacific, Terex AWP Australia. Ely concurred, “Access Hire New South Wales was involved in some of the events, and Genie supported them. We set up a stand at a jobsite and the workers from Northwest walked through a small expo type situation, which focused on safety solutions. We were supporting Access Hire New South Wales and were proud to be there. Northwest Rapid Transit (NRT) was awarded the contract to construct the $3.7 billion Operations, Trains and Systems (OTS) project for Sydney Metro Northwest4. This includes building new railway stations, delivering a new generation of metro trains and buildings, and operating the Sydney Metro Trains Facility which will see the installation of new tracks and converting existing railway lines to metro status. NRT will operate Sydney Metro Northwest for 15 years. Additionally, CPB John Holland Dragados won the contract to construct the tunnels and station civil works. The contract for the surface and viaduct civil works went to the Italian-based Salini Impregilo joint venture.